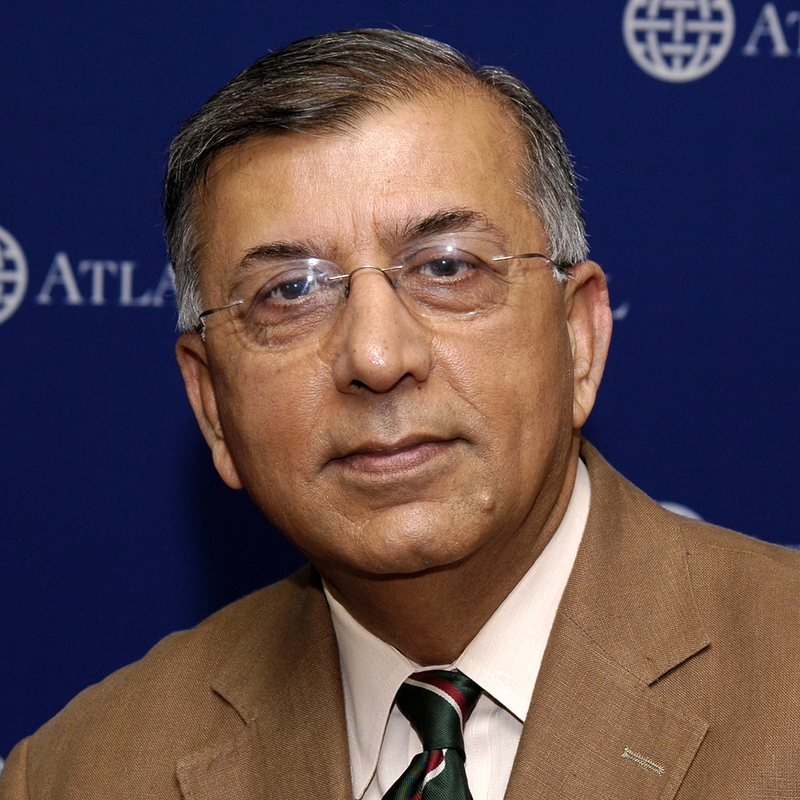 On September 26, South Asia Center director Shuja Nawaz appeared on National Public Radio this week to discuss the continual degradation of US-Pakistan relations following comments by Admiral Mike Mullen, the chairman of the Joint Chiefs of Staff, that directed blame at Pakistan’s Inter-Services Intelligence for recent attacks in Afghanistan. September 27, 2011 – KCRW’s To The Point with Warren Olney – Will the US Bomb Pakistan? How Reliable is Intelligence on Iran’s Nuclear Program? FREDERICK KEMPE: Good morning, everyone. I’m Fred Kempe, president and CEO of the Atlantic Council. And I think by the fact that all seats are filled and we’ve got a bit of standing room, it underscores the importance of what we’ll be discussing today and the timeliness of what we’ve been discussing today. I’m certainly pleased to see you all for a discussion of Iran’s nuclear capabilities. The council has been built on three pillars – ideas, influence, impact. We’ve tried to bring the right people together for our meetings and our discussions on Iran, the right experts around the right task force, and then write papers that keep us ahead of the debate and what we think needs to be discussed on these issues. The Iran Task Force under our South Asia Center exemplifies these principles, and we’ve done a comprehensive analysis – or we’re building a comprehensive analysis of U.S.-Iran relations, Iran’s relationship with its neighbors and internal dynamics. The task force has been on the forefront of this important dialogue on Iran since its launch last year. We’ve had eight briefings, published four reports, held meetings with key policymakers and written numerous articles and op-eds. As you all know, the timing is significant given the events of this year in the region. Understanding Iran’s motivations, its capabilities and potential avenues for engagement is more vital than ever. I’d also like to add that this endeavor would not have been possible without the generous support of the Plowshares Fund, and Joe Cirincione is here today. Joe, thank you very much for making this effort possible and standing behind it, both intellectually and with your material support. Today I am pleased to announce the launch of our fourth issue brief, “How Reliable is Intelligence on Iran’s Nuclear Program?” It focuses on one of the central yet elusive questions surrounding U.S. engagement in Iran: What exactly are Iran’s nuclear ambitions, and what in intelligence makes us feel confident of that. The brief, authored by Iran expert and Atlantic Council Senior Fellow Barbara Slavin also examines the reliability of U.S. and global intelligence on the nuclear program and offers practical recommendations to global leaders on how to slow down the development of a nuclear Iran. But before turning to microphone over to Barbara, I’d like to recognize one of our co-chairs for the Iran Task Force. The two co-chairs have been Senator Chuck Hagel and Ambassador Stuart Eizenstat. Senator Hagel was delayed returning from the West Coast. So he can’t be here this morning. Ambassador Stuart Eizenstat was able to work this into his busy schedule. He’s a board member of the Atlantic Council, a great friend of the Atlantic Council, a distinguished public servant and respected leader on all manner of global issues ranging from these issues to trade issues to global economic issues. His strong yet pragmatic views on U.S. policy toward Iran have been a valuable contribution to this project, and I’d like to ask him to say a few words today. STUART EIZENSTAT: Thank you, Fred. And thank you all for coming. And I very much appreciate the leadership that the Atlantic Council has provided to this very important issue for our own national security interest and in particular the leadership that Barbara Slavin, who you’ll hear from shortly, has given. She is the author of all of the papers that we’ve done along with Mark Brzezinski, who’s helped coordinate the work and Shuja Nawaz and Atlantic Council staff. They’ve really assembled an extraordinary group of experts on each of the four areas that we’ve so far covered. The timeliness is quite striking with Ahmadinejad coming to the U.N. very shortly. This is obviously a very important time to look at it. There have been four papers, of which this is the fourth. The first was on domestic internal politics where we took a deep dive on the fissures within Iranian society that have been underscored just within the last few days. The effort by President Ahmadinejad in anticipation of his U.N. trip to release the two bikers being overturned clearly by the more conservative elements and by the court, his efforts at dismissing cabinet members being overturned by the Supreme Leader, Ayatollah Khamenei, and just within the last 24 hours the arrest of a significant figure close to someone who is presumably Ahmadinejad’s handpicked successor. At the same time, they will be holding parliamentary elections in the spring of this coming year, and Iran has become a significant focal point of the presidential debate in our own country. Third, we looked at sanctions, how are they working, where are the gaps. We found that they were in fact biting, that they were having a significant impact but that at least to some extent they are being undercut by China. Fourth and the subject of today’s briefing is their nuclear program and in particular a focus on the reliability of U.S. and Western intelligence. It’s been widely reported that they’ve now implemented their threat to move some of their centrifuges into a mountainous area underground near the holy city of Qom. That has now been done, which makes it less vulnerable to attack. They have to some extent recovered from their Stuxnet attack. Their centrifuges are now operating. They have more enriched uranium, up to a level of 20 percent, closer and closer to weapons grade. And their stockpiles of enriched uranium are growing, as are their potential capabilities to weaponize this. So the timeliness of this paper is particularly pertinent. It does fit into this broader context in which we’ve taken a broad look at Iran and looked, by the way, as Barbara will mention, at areas where there might be cooperation despite our standoff on the nuclear issue in areas like the future of Iraq and Afghanistan. BARBARA SLAVIN: Wow, this is a big crowd. Fred, thank you very much. Ambassador Eizenstat, thank you very much. Joe Cirincione, thank you very much – Plowshares, for funding this. I’m sorry that Shuja Nawaz who heads our South Asia Center can’t be with us. He’s had his appendix removed. So he’s taking a sudden but well-deserved break. But I want to thank everyone else at Atlantic Council and South Asia Center – also our speakers, particularly Olli Heinonen and David Albright; Greg Thielmann, who I believe here in the room; and Mark Fitzpatrick of the IISS, who were all kind enough to submit to interviews and to read my paper to make sure that I didn’t confuse carbon fiber and maraging steel and one kind of centrifuge with another. Because we have such a strong panel, I’m going to give just a very brief overview of the report. And I think the bottom line is that our intelligence about Iran is not bad. It is in some ways worse than it was about Iraq because – worse than it was about Iraq because we haven’t had – the IAEA has not had a deep and extended ability to go anywhere it wants in Iran, as it was able to do after the 1991 Gulf War. But in some ways, it’s better. And it’s better because our technical means have vastly improved and human penetration of the Iranian program – defections, cyberanalysis and so on – has also vastly improved since those days with Iraq. And I think equally if not more important – and we stress this in the report – our intelligence community is no longer being pressured to fix the facts around a particular interpretation, as of course we know happened during the Iraq fiasco. We have greater confidence about what we know and what we don’t know, and I think there is less of a chance now of either underestimating or hyping the Iranian program. And this is very important. As far as we know, Iran has not yet built a nuclear device. It certainly hasn’t tested one. It’s important to see Iran in context, and that’s something we’ve sought to do in all the reports that we’ve had here. Iran has not been sprinting toward a bomb, despite the Chicken Littles in this town and elsewhere who have been predicting an Iranian bomb every year for the last 15 years. The Iranian program started in 1957. China is real. India, Pakistan and North Korea have all gone nuclear while Iran for long periods of time was just treading water. Now, the program has accelerated in the past five years. The most recent estimates we have from the IAEA are troubling. Iran now has about 4,500 kilograms of uranium enriched to 3.5 percent – U-235 – and more than 70 kilograms of uranium enriched to 20 percent U-235. And that’s enough material if it were further enriched to make a couple of nuclear weapons. On the positive side, Iran has provided the IAEA with a little bit more access than it has recently. In August, inspectors were allowed to see a heavy-water production site and a heavy-water reactor. This is another potential source of bomb fuel. And inspectors were also allowed to see an R&D facility for advanced centrifuges. But Iran still refuses to answer questions about alleged military-related nuclear work. According to Dr. Heinonen, the last meaningful discussions about the so-called military dimensions took place three years ago. Inspectors have not been allowed to interview key personnel, such as Mohsen Fakhrizadeh, a nuclear physicist and officer in the Revolutionary Guards who is alleged to have directed nuclear weapons research. And Iran has not implemented the additional protocol to the NPT so that the IAEA can go where it pleases when it pleases. The Iranians play with us. They are enjoying the anxiety and consternation that their behavior creates in the West. It’s a kind of revenge for 30 years of isolation and sanctions. I think strategic ambiguity suits Iran’s purposes. It puffs up its sense of self-worth without forcing it to quit the NPT and lose the political support of nonaligned countries, which is very important to Tehran. In my view, Iran will continue to skate close to the edge of the NPT as long as possible and will not cross it certainly until it has large quantities of highly enriched uranium or it’s attacked, in which case it might have justification for quitting the NPT and sprinting toward a weapon. Iranian leaders, as has been mentioned by Ambassador Eizenstat, are preoccupied with many problems right now – economic and political. And of course, they have the crisis facing their close Arab ally, Syria, to deal with. The challenge for the United States and its partners is to keep retarding the nuclear program through policies that have proved relatively successful, persuading for example the few suppliers of such key materials as maraging steel and carbon fiber – if you want to know what they are, it’s all in the report – persuading them not to sell to Iran and interdicting shipments when they do occur. There’s also been sabotage of machinery and cyberattacks that have proved their worth. At the same time, there should be a renewed push for a diplomatic resolution – as difficult as that is – given Iran’s fragmented domestic politics and the fact that the United States is in a presidential election year. I think we should take advantage of the fact that the Iranian foreign minister right now is an MIT-educated nuclear physicist – Ali Salehi. And he appears to be taking the lead away from a less qualified though nominal chief nuclear negotiator, Saeed Jalili. To produce an atmosphere more conducive to a diplomatic solution, the United States and other NPT-recognized nuclear powers must keep their commitments to continue reducing their stockpiles of nuclear weapons and they should refrain from nuclear testing. They should also try harder to convince India, Pakistan, North Korea and Israel to curb their programs and press India and Pakistan to reach arms control agreements, which I think would be very useful. All of this could lessen Iran’s justification for its nuclear program and reduce Iran’s ability to decry double standards in the way the world treats countries with nuclear programs. It’s not too late for Iran to climb down the nuclear ladder. It’s always possible for Iran to answer the IAEA’s questions and to start again with a clean slate. South Africa did so and so, the world belatedly learned, did Iraq. The uncertainty surrounding intelligence about Iran’s nuclear program are a reason for caution, not defeatism or despair. And with that, I’m going to turn over to our eminent panel. We’re going to start with Dr. Olli Heinonen, who was the deputy director of the IAEA for many years who has probably more on-the-ground experience in Iran than any other nuclear inspector. He’s now at the Belfer Center at Harvard. He will be followed by David Albright, who is the president and founder of the – let me get this right – the International Institute – no, sorry – of the ISIS. I always get ISIS and IISS confused – the Institute for Science and International Security here in Washington and has also written perhaps more than any other expert on the subject. Without him, we would not understand the IAEA reports that come out periodically, because his organization tells us immediately what’s important in it and what has changed. And finally, we’ll have Dr. Paul Pillar, who is currently an academic but had a long and distinguished career in the CIA; was the chief national intelligence officer for the Middle East for many, many years; tried very hard to bring about intelligent policies regarding rogue states and terrorism; tried very hard to convince the Bush administration to think about the consequences of invading Iraq before it did so. And I think he’s going to have a lot to say about how the intelligence community has evolved in terms of its evaluation of nuclear programs in difficult authoritarian states like Iran. Olli? You guys stay and come to the podium then. OLLI HEINONEN: Good morning, ladies and gentlemen. First of all, thank you very much – inviting me to this panel and also giving me my opportunity to express my views on Iran and intelligence, which is basis for many countries in their decisions how to deal with this problem. And let me start from the nuclear program of Iran by simply stating that it’s really a matter of concern. It’s a matter of concern in various ways. When Iran is now reaching this semi-industrial – or has reached the semi-industrial enrichment capability, I think it has permanently changed for the time-being the nuclear landscape in the Middle East. We are in a certain way lucky that Syria didn’t have that reactor because that would have been dramatic change for the landscape in Middle East. But there is still time to stop and take a stock of Iran’s nuclear program by the Iranians. Do they really need it? The scope and content of the program is not transparent. Last week, we heard where – or earlier this week we heard when Mr. Amano in his opening statement said that Iran has shown greater transparency vis-à-vis its nuclear program. I disagree with that statement. In my view, Iran has not shown transparency, and transparency is not the first thing which Iran has to do. The first thing Iran has to do is to meet its legal obligations under comprehensive safeguards agreement. Only after those have been – activities have been done, we can start to talk about the transparency and the contribution of transparency to this process. They are not complying with the terms of safeguards agreement. They are not heeding to the resolutions of IAEA board of governors and to the resolutions of the U.N. Security Council. They are legal obligations. They are must – a must. And after that comes as an add-on thing, transparency, which means openness, explanations, access to information, access to the sites – we have not seen that. My present successor visited a couple of sites in Iran, which was hailed by many IAEA member states. I think it’s wrong. He had a legal right to go there as a head of the department of safeguards under the comprehensive safeguards agreement. If he visits Bushehr, in my view that’s not a transparency. There’s a safeguards agreement in force, and IAEA inspectors visit constantly Bushehr. There is nothing, which in my view in that report of IAEA reflected something additional coming out from visit to Bushehr or visit to Isfahan or visit to Arak heavy-water reactor. Heavy-water reactor is also under IAEA safeguards, and the inspectors can go there under the safeguards agreement. So where is Iran heading to? If we look today, as Barbara said, the progress has been slow but it’s steady. It’s very difficult to predict the future. But if we just look what we now know, by end of next year, Iran will have – if their stockpile of enriched uranium either 3.5 percent enriched or 20 percent encircled uranium, which they now produce in greater quantities – an amount which will be suitable if it is turned to high-enriched uranium to something like 120, 150 kilos of high-enriched uranium, enough for half a dozen nuclear weapons. That transformation from 20 percent enriched uranium or 3.5 percent enriched uranium doesn’t come overnight. And I understand that David is going to talk in more detail about it. So I put that one aside. Tripling of the production of 20 percent enriched uranium is troubling. Iran has no need for that. Several technical reasons – first of all, as Barbara said, they have now 70 kilos of UF6 20 percent enriched. You may recall that in end of 1980s, IAEA helped Iran to get fuel for the Tehran research reactor. The fuel consignment was 115 kilos. And Iran was able to run that reactor and is still running it as of today, 20 years. So this 70 kilos of UF6, which is now there, is enough for 10 years. So there is no need to boost and add to the stockpiles, as Mr. Abbasi-Davani says. They continue still to build it. At the same time, if you go to the world market, there is 100 tons of highly enriched uranium in Russia waiting for a client. So you can buy it. You don’t need to produce it yourself. And I’m sure that the Russians are glad to provide Iran with 20 percent enriched uranium – (inaudible) – money. So there is no technical reason to do it. At the same time then, Iran is going ahead slowly with the heavy-water reactor. You saw from the latest IAEA report that now they start small-scale experiment with – to produce 20 percent enriched uranium oxide. This is still a long process before actual fuel elements will be popping up from that facility, which still needs to be constructed. These are all small laboratory-scale experiments. So I would say that scale and a – (inaudible) – of plutonium productions, they are about five years from now when Iran may reach that capability that they can produce lots of quantities of plutonium. But nevertheless, it’s there. And for no reason if you look it because there’s no point of them building a heavy-water reactor if they are investing to light-water reactors and justifying this investment by – (24:20 inaudible) – Qom. The Qom is also in a way another concern. It’s a hardened place. It’s underground. I understand that in the Middle East the circumstances perhaps warrant that you protect your assets. But what’s the problem there is that Iran should have by now one or more such installations under construction. If we go back a year ago in history, Iranian officers said that by March this year, 2011, they will start the construction of the next facility. They have not said whether they have started or whether they have not started. That is for me a transparency, and that transparency is missing. Then the last point, which I want to make, is this military dimension, which we know very – some details, and IAEA has not recently updated the international community about its own findings. The latest large report is from May 2008, where you see the topics with this – Mr. Fakhrizadeh was working with it. All those question, which were raised at that point of time, remain unanswered from the Iranian side. Not one single clarification has reached the IAEA yet to the best of my knowledge. DAVID ALBRIGHT: So thank you very much for having me here. At ISIS, we’ve been trying to spend a lot of time on Iran and trying to make sense out of what they’re doing. And I must say from a – from a group that’s spent a lot of time in the past assessing Iraq, I personally started in the ’80s and worked very hard on it in the – in the ’90s and into early 2000. I find the Iranian situation very different. And I think what I’d like to do at the request of Barbara is not so much talk about what happened with Iraq or how the situation with Iranian information is different but kind of get into an example of how the information is used differently. And that kind of speaks to the quality of the information. And I think I’d like to start by just saying that, you know, to kind of step back and that all of you know that the Obama administration is pursuing an approach involving pressure and diplomacy. And it’s mostly pressure now. And part of the reason for the pressure and the justification for it is that it’s worked in the past. You combine sanctions, isolation, and then you hold out a hand. You can get countries to change their behavior. And Barbara mentioned South Africa. Brazil in the ’80s was put under a lot of pressure to in a sense come clean about its secret nuclear programs organized with a vision of getting a peaceful nuclear explosive – Libya in more recent time. So this kind of pressure does work. But historically that kind of pressure has been rather passive, and I think one of the changes in the Iranian situation is that this waiting is somewhat intolerable. And so there’s been, I think, a more aggressive, kind of proactive component of this pressure that’s arisen. Now, some of that existed in the past with South Africa – I don’t – somewhat with Brazil very little. But I think in Iran you’re seeing it really reach a new – a new level. Some of it, yeah, you can live with – Stuxnet cyberattack. I mean, but it has consequences. I mean, Iran’s now feared to be working to attack us, and it’s certainly expanding its cyberwarfare capabilities. One that I think everyone would condemn is the killing of Iranian nuclear scientists. There’s been an increase in that. Ones that are easier to deal with is increased intelligence efforts to penetrate the program, to get human intelligence, to get – to get spies – where you’re exploiting the weaknesses and contradictions in the regime. The Qom site, at least in part, was due to that from what I understand, the revelation of the enrichment plant. And so I think that it’s – much of it is good. Some of it is very bad and could have some very negative consequences for us. But what I’d like to do now is focus on one part that isn’t really very often in the headlines. And that’s the – sort of the longer-term effort to make it harder for Iran to get the wherewithal to put together its nuclear facilities. Barbara mentioned maraging steel, carbon fiber, mentioned this in general. But it’s a very large international effort to try to delay Iran’s ability to put together its ambitions. And it focuses on many items. I’ll focus centrally on the gas centrifuge program, where you – there’s just things that Iran can’t make and that they have to go out and buy them. And a lot of those – all of the things in this centrifuge program are in that – are in that category, things affecting individual centrifuges. The maraging steel is very important in the IR-1 centrifuge for a part. Carbon fiber is essential for making advanced centrifuges. In the cascades – and this was a surprise to us at ISIS – is we found that many of the ways to create bottlenecks for Iran were in the equipment that goes into making the centrifuge plant itself – vacuum pumps, things to put together the cascades, vacuum measuring equipment. Surprisingly they can’t make it and they’ve tried. But you get problems on reliability and just longevity. And the Western, Japanese, U.S., you know, suppliers make the best stuff. And Iran goes after that continuously even today. Now, what’s been done to make it harder for Iran? I think trade controls, which you’re probably all familiar with – export controls – are littered with loopholes, and they’re usually not seen as very effective. And Iran’s been able to dance around those for a couple of decades. But what changed the situation was the U.N. Security Council resolutions on Iran. What it did was it created a – in a sense a ban of the supply of nuclear goods to Iran. So you couldn’t provide anything to the nuclear program. And it created a standard. And it’s not easy to implement but it is being implemented slowly. And what you’re seeing is that where Iran used to be able to go out and exploit loopholes, they’re actually running into a brick wall on many items. And there’s gaps in that system, but nonetheless it’s actually improving with time. Another part of it is that governments and industry are cooperating more. But that’s – industry has always been the lookout in a sense because they – Iran does smuggling. It’s a very elaborate illicit smuggling operation. I guess that’s redundant – illicit trade operation. But at some point their operatives, whether they’re knowing or not, have to surface and contact a supplier, who’s not involved in this whole thing. And those things are increasingly detected. Those efforts we call inquiries or requests for a price quotation. Those are being detected more by the suppliers of high-technology items, and with increased government cooperation those items’ inquiries are being turned over to government. And they’re very valuable because they are the current efforts of Iran’s illicit trade networks to get items. And they can be used to disrupt, prosecute. Barbara mentioned sabotage. Certainly we’re aware of cases where intelligence agencies or governments feel, well, look, they’re a thief in our country trying to break out laws. What’s wrong with breaking some equipment or sabotaging it in some way and putting it back into their system? I mean, they’re not buying this legitimately. MR. ALBRIGHT: OK. All right. Now, what have been the impacts of this particular effort? And I would say that it has – I mentioned this helped slow the centrifuge program. We think it’s likely capped – and Olli’s researched this quite a bit – likely capped a number of IR-1 centrifuges they can build. You haven’t seen any increase there. You’ve actually seen a decrease in the number of deployed IR-1 centrifuges at Natanz over the last year. And we think they may have trouble. And again, in this – in this case it’s being driven by the – a shortage of maraging steel. This may have prevented Iran from building thousands of advanced centrifuges. They’ve had trouble getting carbon fiber and they’ve said recently they can make it themselves, but we don’t think they can make the quality carbon fiber you need for an advanced centrifuge. It’s also – it’s limited Iran’s ability to acquire knowhow and expert help, which they need – that it is the – again, with the sanctions resolution, the Security Council resolution, this is all banned, and so it’s more easy to enforce it. And then of course there’s – you get quicker and more systematic detection and prevention of Iran’s illicit networks, and that’s very important. And also you get more information about what they’re up to. It’s strategic intelligence on the status and in a sense the ambitions of their nuclear program. Now, Iran of course is not taking this lying down and it’s a very dynamic situation. Their announcement on carbon fiber was to try to say, look, we’re going to make this ourselves. They’ve tried to say, we can make vacuum pumps. And they also – you have to look at the – at least the resistance to releasing these hikers as an effort to say to the United States, look, we know you’re getting our smugglers You’re prosecuting them. You’re putting them in jail. They’re pleading guilty. We do very aggressive sting operations. ICE does those, and they’ve gotten some really important Iranian smugglers. And Iran wants them back. And so part of the hiker debate or debacle is really over an Iranian game plan to say, look, we’ll make a trade. And of course the U.S. says no. And then they launch more secretive smuggling efforts, which are harder to detect. So it goes on and on. And also I just should add this for completeness: that this effort by itself can only do so much. It’s not preventing Iran from enriching uranium. It’s not preventing Iran from deploying a limited number of advanced centrifuges and it certainly can’t prevent Iran from deciding to – and implementing a plan to build a nuclear explosive device if they wanted to. At ISIS, we see that as the more likely scenario, not a deployed warhead. This thing will evolve to a point they get HEU, and they’re capable then of developing a nuclear explosive. And that would be probably the first thing that they would do rather than deploy them on missiles, which we think would be much further out. But nonetheless you can’t do that with this method. So it’s only one of many things that has to be done. And that’s – certainly a very high priority is to figure out, what is effective on this pressure side and then what’s acceptable and doesn’t have too many downsides. And I think that’s a very challenging thing. And we shouldn’t be too quick to just get behind cyberattacks, for example. I mean, we’ve lived – we’ve come to live with sabotage, certainly killing of Iranian scientists. And in fact, you know, one downside already is somebody tried to kill Abbasi-Davani, who we feel comes out of their weapons program. He’s now head of their atomic energy organization and he’s been issuing pretty dramatic statements over the last month, some of which contradict Ahmadinejad where Ahmadinejad is starting to look more of a softie than Abbasi-Davani. And we don’t know who’s really speaking for the Iranian regime. So anyway, let me just end on that note, that it’s – this effort, I think, has been very important in achieving some goals to slow down the program. But by itself, it can’t do it all. Thank you. PAUL PILLAR: Well, good morning. My thanks to the council and to Barbara for the invitation to participate. For those of you who haven’t read Barbara’s paper, I certainly commend it. I had hoped to come up to this platform with some things to say by way of critique of the paper but I really don’t disagree with anything in it, including the policy recommendations. And it’s an excellent primer that goes far beyond the title just of the reliability of intelligence. I have to start with a disclaimer that I have absolutely no inside information about what the current intelligence community is seeing, reading, listening on this topic nor what they are saying to the policymakers. I see what dribbles out publically just like everyone else. I’m also not the real expert about the details of the technical stuff, as my fellow panelists are. So all I’m going to do is take a few minutes to make some comments about how the U.S. intelligence community tends to handle topics like this one of the Iranian nuclear issue and in particular how its handling tends to diverge from public perceptions of what’s going on. There’s a strong tendency to look to the intelligence community to make up-or-down judgments on something like this. You know, this was very much the case with the Iraq question. You know, does he or does he not have WMD? And things tend to get dumbed down even if this is not the way they come out from the community’s mouth – dumbed down to this up-or-down, yes-or-no, on-or-off kind of judgment. In fact, the output of the community on these questions is inevitably highly probabilistic. It’s a matter of tendencies, probabilities, likelihoods, unlikelihoods. The community is called on to make all kinds of judgments, including ones that get dumbed down to the yes-or-no variety, whether or not there’s a strong basis for making a definite yes-or-no judgment or any more basis for making that than there are on a lot of other matters on which is does not make judgments that become the stuff of a lot of public commentary in this town. Whether or not the community does offer a judgment on something like, does country X have an active nuclear weapons program is a matter of political and policy demand. It’s not a matter or a reflection of the strength of the evidence on which the judgments are being made. Now, related to that we tend to seize on some of these publically made available – publically available judgments when there’s an unclassified version of one of these assessments that comes out on the confidence levels that are offered. You know, we have high confidence of this, medium confidence of that. And I want to urge you you’ve got to place that in the context of these are confidence levels about the sorts of stuff that the intelligence community addresses, which immediately gets you to large – a high level of uncertainty. Things don’t become intelligence issues. If we’re really certain about them in the first place, we wouldn’t need the intelligence community to pronounce on these sorts of things. So when you hear something of a high confidence, that’s relative to a lot of other things, where it might be little more than a coin flip is the basis on which the analysts have to go on. There is also a related tendency to seize on these specific aperiodic pronouncements usually in the form of national intelligence estimates, which happens to be, you know, one art form that people have heard about because it’s been around for a number of years. But it’s only one of many different art forms that are used by the community to convey its analysis and judgment to their customers, the policymakers. And so there are these few ones that come out, in the case of this particular topic, sort of every three years or so. And either there’s an unclassified version that’s officially released or there are leaks and dribbles that come out unofficially. And people seize on these with bated breath as if the community had been doing absolutely nothing in the ensuing, you know, three years since the last one of these things with the initials the NIE – that came out. And if there’s some sort of change from the last one, then the commentary one hears is to the effect that either there must be some new critical piece of evidence or the community is admitting error because they screwed up and missed it the last time around. In fact, the process is not that at all. It’s a much more gradual, incremental process, which the theorists of such business would describe as good Bayesian analysis. Adjustments are made as new bits of material come in. Seldom are the judgments on this topic resting on any one critical bit of information, be it a laptop, a death or a particular human source. You’ve got analysts who are trying to piece pictures together from lots of different fragments of information and that’s the typical day in the life of an intel analyst. And that’s just as true of this topic, of the Iranian nuclear program, as it is of many others. Nonetheless, when one of these things dribbles out, a particular source, a particular piece of evidence, it tends publically to get seized on in a way that really outstrips the significance that it has in the analysis on the inside. Now, I was asked to – by Barbara to make some comparisons with the Iraq situation. Both cases, we’ve got a hard intelligence target with regard to a regime that has reasons – albeit it might be different reasons – for concealing parts of what we would like to know. That’s a rather basic limitation that we face in each case. I would say in the – in the current Iranian case there is an additional, major challenge of facilities and subprograms we may not know about at all. So it’s not just a matter of interpreting what we are aware of on our map but not really being sure that there aren’t other things that haven’t shown up on our map in the first place. As for, you know, what the analysts can do and how well they’re doing it and how much they can be trusted, by far the biggest difference is the one that Barbara already mentioned. And that is that we do not currently have an administration that has decided to launch a war and to use the effort – the issue of a nuclear program or an unconventional weapons program as a major selling point for doing so. And not having that kind of political environment is by far the biggest difference in what the analysts are doing today with regard to Iran as compared to what was being done with Iraq. So in that regard you could say the current problem is a little easier to handle, and perhaps what you hear and what dribbles out can be trusted somewhat more. I would note just as a countervailing point in terms of something that’s perhaps more challenging in the Iran case is we have of course lurking in the background of this whole debate about the Iran nuclear issue the prospect of using the military option, of going to war again, but in this case to try to knock out the Iranian nuclear program. And there that implies a very difficult intelligence task of coming up with all the detailed information including those facilities we can’t be sure we don’t know about that would be needed for targeting information. And that wasn’t the problem with Iraq, of course, where we had a full-scale invasion to overthrow the regime. It wasn’t just targeting particular programs. Now, all this has to do with capabilities. We’ve heard a lot about intentions and the community tends to be looked at to make judgments about intentions, at least as much about capabilities. You know, are the – do or do not the Iranians intend to build a nuclear weapon? You hear that question all the time. And my basic point would be it is simply not possible to infer with a high degree of reliability, or even a moderate degree, intentions from what we see about capabilities and programs, even though in the public discourse we hear a lot about that. You know, why would they be doing this and have this particular effort or buying this particular bit of material or whatever if they didn’t intend to go all the way and build a weapon? Well, there are all kinds of problems with that, not just the fragmentary information about what they’re doing on the capability side but two other very basic limitations about intentions. One, lack of direct access to the innermost decision-making circles in which such intentions would play out and secondly, and I’d say this is the most important thing, the biggest decisions we’re concerned about are decisions that have not yet been made. And you can’t rely on either the intelligence community or anyone else to make some sort of judgment and for you to rely on that judgment if it’s about a decision that hasn’t yet been made. My final closing point is just to amplify something that’s come up in the remarks of a couple of the previous speakers. And that is, the single best source of information about programs of this source – this was true of Iraq, it’s true of Iran – is an international inspections regime. And in the case of Iraq, the flow of information was very good when we had it. It was suddenly a lot worse when we didn’t, whether it was because Iraq kicked out the inspectors, or as it happened closer to the war, when the U.S. kicked out the inspectors. So my concluding observation would be, if we want to try to increase our collective confidence about what we can say about this particular program in Iran, the best way to do that would be to strive for a more inclusive and more extensive intentional inspections regime. MS. SLAVIN: Is this on? Yeah? Thank you very much. Thanks to all our speakers. We have a big audience and a good audience. I’m going to start with just one question. If I could persuade Dr. Heinonen to go a little bit deeper into the so-called military dimension, because you told me some very interesting things about the conversations you had with the Iranians in the spring and the summer of 2008. You said that they actually admitted that they had done some military research and then reneged on further explanations. If you could talk a little bit more about what they said they did and then what they said they didn’t? Thanks. MR. HEINONEN: Yes, in 2008, as you mentioned, we had quite extensive discussions after that famous work plan which really never got implemented from 2007. We started again in spring of 2008 discussions mainly through Mr. Aghazadeh who was at that time the head of the atomic energy organization. And he facilitated a number of meetings with the Iranian counterparts. And the idea of the IAEA was – because this was much to do with this information which came as – (inaudible) – kind of intelligence information or information which IAEA had collected itself and put together and were a part of that military dimension. So we agreed of the approach that since Iran said that some of this – that this is all false, fabricated information. But there were elements there which were hard facts. There were institutes. We knew people, we knew experiments which had been made, equipment which had been bought. So that go through this material together with the Iranians and draw a line there first what is actually true and what is not true. And in this process – I’ll just take a couple of examples. One was the high explosives studies and this very high precision in timing when you make multiple detonations in, let’s say, time frame of microsecond scale. They say that, yes, actually we have done. We have some civilian and conventional military applications for this. They share with us documentation which supported generally some of the experiments. So these experiments were done. But then when we wanted to go further and to talk with the scientists themselves, then we hit a wall in order to go ahead and understand what is that particular civilian application where you need one microsecond timing in having bringing a building down or bridge down or make an oil well somewhere. And that’s where it stopped. And similarly you might remember that a lot of talk was about this PowerPoint presentation. It had a video which was shot in the workshop in Tehran. It had also some still photos from those workshops. So we agreed with Aghazadeh in August 2008 that let’s visit these workshops because they were real workshops. Some of them had websites. So you could go to the website, see it. You could via satellite imagery have a photo, look that the shop is still there, the painting is in the roof same as it was five years ago or six years ago, it had the same telephone number – with one exception; that’s because this was old information. Tehran telephone system changed meanwhile. So there was that extra digit was missing from that telephone. You call to that number, there’s a guy who picks the phone. So our idea was to go there to see whether this video was shot in this particular workshop, see and talk with the people that what was the conical thing which they were building and welding there. It didn’t unfortunately work out. I remember the day when it flopped. It was the good day in August 2008 when the Iranian government decided that it’s over now. And since then we didn’t have any – to best of my knowledge any substantial discussion on the military dimension of the program. But then there is another military dimension which very often gets omitted. And this is the participation of the military installations to the nuclear program itself. Iran has acknowledged it. And in a certain sense it makes sense. For example, David mentioned this carbon fiber – making carbon fiber rotors. So that workshop is a subcontractor for aerospace industries – for aerospace industries organization. And there is nothing wrong of a military workshop working because they have the capability, skills. They are used to work with these kind of materials. They are also manufacturing components for centrifuges. They have (flow forming ?) machines which you need to use when you make these rotor segments or bellows for IR-1 centrifuge. The workshop has the skills to work with hose hard materials and instruments. So it doesn’t make the program a military program as such. And I know from the European context that, for example, when the Brits started to make their own centrifuges 40 or 50 years ago, they used a lot of workshops which actually were belonging to the armed forces because they had the skills. MS. SLAVIN: Thank you very much. I appreciate that. Let’s open the floor. Please wait for a microphone and identify yourself. I think perhaps we have somebody with a mic? OK, yeah. Q: Thank you. Peter Crail from – is this on? Peter Crail from the Arms Control Association. I just have a couple of questions, mostly for Olli but I’d appreciate views from the rest of the panel as well. Olli, you mentioned that the recent visit by Mr. Nackaerts, that a lot of facilities that he visited, Iran was already obligated to show the agency. One of the facilities that unfortunately Iran wasn’t legally obligated to show was an R&D facility related to its new – its advanced centrifuges. I was wondering if you could talk a little bit about how important it is to get access to those facilities and also if you can clarify – I believe you had a similar visit in 2008 – whether or not it was something similar. And secondly, Amano had recently suggested that the IAEA might conclude a judgment on Iran’s military program similar to what it had done in Syria in terms of saying whether or not this likely happened or not. I was wondering if you could talk about the prospects for that moving forward. Thanks. MR. HEINONEN: Well, first of all, I don’t know exactly which locations Mr. Nackaerts saw and which places – and what he was told because, well, it’s nice to see a workshop, nice to see someone machining, you know, some metal pieces. Engineers like to see this sort of thing. But the reason for such kind of visit is different. This is a visit to – in the context of transparency, to understand the scope and the content of the program, to understand why they do this, how many they plan to do in next 10 years, talk with the scientists, engineers, designers. This is the one which tells about the scope and content of the program, which is important. Certainly one can also get some information based on assessing whether I have seen all the centrifuges which they might have been manufacturing. I think this kind of workshop visit is – it’s a very limited addition to what you need to know, I would say – say that. Then, putting out the information same way as what we did in May 2008 when the IAEA published last time the military dimension, but this time approach it the way they approach for the case of Syria. That’s a hard thing when you – you know, in 2008, we just listed facts. We didn’t make an assessment whether this or that but we listed them and said that these are matters of concern. We want to understand why these events took place, why these experiments are there because they point to the direction that there might be a dimension in this nuclear program which is worrisome. But Syria went one step further and Amano said that it’s most likely that it was reactor. Actually this was very likely from the very beginning. We just didn’t say it and what we didn’t also I can say now. I regret that we should also have said in 2008 that Syria was in flagrant violation of its safeguards agreement and it’s still that. But let’s put this one aside. So it’s going to be a big groundbreaking thing if he is going to really to come with the assessment on a transparent way so that the international community can read from that report, as Mr. Pillar said, that these are the facts. This we know that well. Here is this answer, then then the answer to that. There are gaps in knowledge for sure because these are just pieces which are worrisome. It’s not a Manhattan Project which is laid out in front of you and on a project chart. So he has to then make an assessment based on this that there is a highly likelihood that there is a nuclear program. Then he has to decide, is it a program which is actually with the ultimate goal to build a nuclear weapon or is it a program where you collect slowly information that you have some kind of a, let’s say, engineering base, knowledge base to build a nuclear weapon if you come one day to that decision. These are the things that I think which IAEA is going to face and it’s going to be difficult thing. I was part of those processes in South Africa and Iraq. And at the very end, you know, the best for the IAEA would really go to Iran and talk to the people who know. It may only be a handful of people in Iran who really know the real goal of the nuclear program. That’s the problem we have. We just see symptoms which are worrisome. So I don’t know what is his plan. But I would recommend him really think carefully, you know, on this process, how to do it and what he wants to prove and how to prove because it has to be transparent also, the IAEA report. MS. SLAVIN: Thanks very much, Olli. Another question? Yes, this lady here? Please identify yourself. Q: (Inaudible), Voice of America Persian News Network. Does IAEA have the capability of, you know, monitoring it in full, human resource, or do they have this capability? MR. HEINONEN: For sure. IAEA is same as IAEA member states. There are 155 member states in the IAEA. There is IAEA secretary department of safeguards that has about 800 people with the various technical background. So there is knowledge and experience for this kind of analysis. IAEA started to use – do this what we call all-source information analysis slowly in early 1990s as a result of these lessons learned from Iraq. So there’s a system in place. There are practices and there are people who are – you know, have the know-how. Then you may have some specific questions when it comes, for example, let’s say to these detonation experiments. You cannot have a big ground or high explosive scholars or scientists in your payroll. Then the IAEA normally recruits consultants and mainly from countries who have the experience with seeing these cases, permanent five or nuclear weapons states, and we draw – IAEA draws expertise there, gives the problem to them, but then it doesn’t use that as a conclusion. Then the secretariat will check the veracity or the mechanism that they came to the conclusion. Does it make sense with the other information which you might have? So it’s a very complex process but I don’t think it is very different from the process which intelligence agencies use in their work. They also don’t have always all kinds of experts – experts in their payroll. They recruit additional resources and knowhow when they need. MS. SLAVIN: Yes, the gentleman there? Q: Yes, my name is Bahman Batmanghelidj, Alliance for Democracy in Iran, founder. There is a proven reserve of gas in the world of 930 trillion cubic feet. Iran probable reserve – Iran’s natural gas, 930 billion – trillion cubic feet, enough for the next 200 years of population of 170 million people. No attempt has been made by the media to explain that directly to the Iranian people and to the world at large there’s no justification for nuclear power for Iran, question number one. Number two, my question to the panel – I don’t know who would like to answer this – is in reality there is now enough oil in the world. There’s no justification for oil being at the price it is today. When bin Laden was killed, the price of oil went down $15 – 15 percent in 48 hours – 15 percent in 48 hours. The question is, isn’t this rather a red herring, this whole business of nuclear for Iran? They’re happy about it. The oil producers are happy about it and certainly the – (inaudible) – are happy about it around the world. Thank you. That’s my question. MS. SLAVIN: I’ll make a brief comment. I don’t know if anybody else wants to jump in. We don’t have energy experts here on the panel but we’re in a kind of catch-22 with the Iranians because one of the results of their nuclear program has been all these sanctions which have retarded Iran’s ability to exploit their enormous gas reserves. I absolutely agree with you. They have enough natural gas to take care of all their needs for a very long time. I think any one possible way of approaching a solution to the nuclear issue would be to offer the Iranians expertise in developing their gas reserves in return for curbs on the nuclear program. And with a good explanation to the Iranian public about why that offer is being made. I don’t know, Paul, if you want to jump in about the price of oil and bin Laden. MR. PILLAR: As was explained to me by officials in the United Arab Emirates the last time I visited there as to why they have a nuclear energy program despite all their oil, the economics are such that preserving more of the natural resource for export can indeed make economic sense. And that’s in addition to what Barbara mentioned with regard to the difficulties of developing the resource. So I don’t think, you know, the voluminous oil and/or gas is a reason to draw the economic implication that it does not make sense to have a nuclear energy program for domestic consumption. I say that as a non-economist but I’m just – I had that lesson impressed on me when I was in the Emirates. MS. SLAVIN: OK, thanks. OK, Bob Dreyfuss and then we’ll go to Doyle McManus. Q: Yeah, good morning. I’m Bob Dreyfuss. I’m writing for Tehran Bureau and for The Nation. I have a question about intelligence and the IAEA. I seem to remember pretty clearly that during the Iraq time that there were spies inside the IAEA project in Iraq who were involved in gathering intelligence quite apart from the IAEA’s efforts, legitimate under the international community. Does that not mean that Iran would properly draw the conclusion that if it opens the doors to some of these facilities, especially because of the targeting question that Paul raised, that this would then – because the CIA would obviously be then called to provide targeting data if the administration decides to launch an attack. So doesn’t that mean that Iran is quite rational in refusing access to the IAEA or – and what efforts are made to separate the IAEA from the CIA and other international intelligence services that might want to then provide targeting data? MR. HEINONEN: You’re asking me? OK.
MS. SLAVIN: I’m afraid you’re it, Olli. But David could – David could say something too. MR. ALBRIGHT: I’ll jump in on this one after you. But it’s UNSCOM. It’s UNSCOM, not IAEA. MR. HEINONEN: Yeah, Iraq thing was very different. It was run under the U.N. Security Council 687. MR. HEINONEN: And the work in relation of these people to the IAEA was different, and also the vetting process in selecting people is a very different one compared to what is the process when your records have inspectors or permanent IAEA staff members. So there’s a huge difference here. But having said that, you know, Iran has signed a thing which is called comprehensive safeguards agreement. It comes – it brings benefits but there are also obligations. And obligations are that, you know, you need to make certain declarations to the IAEA about the facilities, what they do, what they process, how much were they allocated and some certain information related to those facilities. And they have to comply with that. So they know that there is a vulnerability. In their Qom facility, which is now there underground, they knew everyone knows that there’s an enrichment facility and IAEA knows and people go there. And then to get information from that facility, actually you don’t need IAEA inspector for that. There are today and we heard these things about Stuxnet. There are various other ways to find. But certainly IAEA perhaps could be a good target also for intelligence agencies to find information. MS. SLAVIN: David, you want to talk about UNSCOM a little? MR. ALBRIGHT: Yeah, well – and two things. One is it was UNSCOM that had the most egregious cases. And Olli mentioned it was very different. I mean, when I went to Iraq, the U.S. government – I was asked to go by the action team leader but nonetheless I had to have permission from the U.S. government to go, which actually I didn’t know. I was living in Europe at the time. And one of the stipulations of giving permission was that after I came back from Iraq, I would then come and talk to them. And so my feeling – I was working very closely with the action team leader – is that I was fairly hostile in the meeting and uncooperative. But if someone’s working at one of our national laboratories, because most of the inspectors – it’s really a misnomer in a sense – they were experts drawn from national laboratories in our case. They go back to work at Livermore or Los Alamos. So it’s a – and the IAEA safeguards division isn’t organized like this at all. And so they can create their own security system, their own loyalties. And sure, countries are going to try to spy on the IAEA but it doesn’t have anywhere near this kind of – kind of ramped up problem that the action team or particularly UNSCOM had. The other thing is that target – I don’t think it’s fair to say the IAEA comes with targeting information. I mean, for example, if Iran is abiding by the additional protocol, it has to reveal where it makes certain parts of the centrifuge. And of course that can become very important targeting information but Iran also knows that it can just move the capability. In the end it’s just embedded in some machine tools and some people, and they can simply move it or they can contract with different companies. And so I would say we don’t have a good understanding right now or high confidence of where they actually make centrifuge equipment, even though when Iran was abiding by the additional protocol the IAEA knew a great deal about that. So I think it – I think it’s also – just to summarize – I think it’s risky to attribute targeting information with what the IAEA does and then somehow use it to justify Iran’s refusal to fulfill its obligations under safeguards agreements. MS. SLAVIN: Good, thank you. MR. PILLAR: Yeah, I would agree with that. If those obligations are being fulfilled, then the locations of facilities will be known and Western intelligence services don’t need to penetrate an international organization to find that out. All they need to do is pay attention to the public reports of the agency. MR. HEINONEN: Could I – just a couple of examples, you know, from Iraq? First of all, their main nuclear weapons establishment was never bombed during the Gulf War I, with the exception of the restaurant and the high explosive test bunker. Those were the two buildings which suffered during first Gulf War in al-Athir and there were tens of buildings in that area, huge ones. But then a more specific example about the assets, Iraq had attached workshops, these flow forming machines which are important in making centrifuge rotors. They didn’t get damaged in the first Gulf war. They didn’t get damaged in any of those subsequent attacks because they move them away just before the bombing starts. And I think Iran would do the same. MS. SLAVIN: Good point, good point. There’s a gentleman all the way in the back. Q: Yes, hi. Doug Birch from the Associated Press. I had just had a question about the deaths of Iranian nuclear scientists. Putting aside the moral issue, is it – I’m assuming that this is an effort to disrupt the nuclear program in Iran. Is it an effective tactic? Is it a self-defeating tactic? What are your views? Any of the members of the panel, I would like to hear your views, please. MS. SLAVIN: OK, I was going to ask Paul first. MR. HEINONEN: Maybe I say one more thing, just to this one and then I’m done with that. So the guy who works in the program – nuclear weapons program – may not know that he works in the nuclear weapons program. There are a lot of duties and jobs there which have no nuclear tie. And if you look – for example, one of these persons who was assassinated and his work with the fast-acting switches, with these electronic switches, if it was to do with the nuclear weapons program, there was no way that he can perhaps himself associate it with that because they are used in so many other places – with missiles, hospitals and so on – unless he was told that this is part of the nuclear weapons program. So in that sense and knowing that intelligence is well-penetrated in Iran, I have some difficulties to understand that that guy sent (the ramification ?) around because I don’t think he knew if it was for that program that he was working for that. MR. PILLAR: All I would say is if the state and progress of the Iranian nuclear program depends on what is walking around inside the heads of, you know, one or two key officials, then we’ve got a lot less to worry about this program than most of the discourse would lead us to believe. Q: Doyle McManus from the Los Angeles Times. Paul Pillar touched all too briefly on the difficult in assessing intentions as well as capabilities. I wonder if I could ask you to go a little more deeply into that. How would you assess, to the degree you can, the quality of intelligence there and what would you suggest as sensible frameworks for making those assessments? MR. PILLAR: Well, my – ranges between an intuition and a guess is we’ve got hardly any intelligence on that, mostly for the reasons I mentioned before. This is part of the tough nut that is difficult to penetrate. I mean, you’re talking about what would probably be human, possibly technical sources in innermost policymaking circles which would be an incredibly unrealistic intelligence coup if we could achieve that. But mostly the other point I made, I think we’re talking mainly about decisions that have not yet been made. And I know that’s consistent with some of the judgments that have come out from the community – our community itself. I don’t think that’s just a cop-out. I think that’s true. And it has strong policy implications very consistent with the ones that Barbara mentioned in terms of what can still be headed off. It has policy implications about, you know, what sort of program – nuclear program can be – can we live with that still stops short of, you know, the feared Iranian bomb. My sense of where Iranian decision-making is right now is that the most important decisions at the highest levels about how far to go and how many turns of the last screwdriver, if it gets that far, ought to be made are decisions that have not yet been made. And most of those decisions will depend on a bevy of considerations that are within the power of Western powers to influence, including not just what we do relative to the nuclear program itself, including what we focused on this morning about inspections and so on, but also the whole state of Iran’s relations with the West and particularly with the United States, their threat perceptions in terms of how a nuclear deterrent may figure into their national security or not and what else is on the table in terms of what kind of relationship they could or could not enjoy if they back away from getting even close to those last few turns of the screwdriver. MS. SLAVIN: David, do you want to add something? MR. ALBRIGHT: Yeah, let me just add one thing. It’s not so much on the intelligence but it’s on how do you approach the problem, is what is the Iranian nuclear weapons program? I mean, you think of some secret parallel effort. But is it actually? I mean, Iran has to be worried about doing something in secret now that’s significant because they’ve been exposed so many times, repeatedly by the IAEA, by recently at Qom. And so is their nuclear weapons program evolving to – particularly on the fissile material component – just what’s in front of us, that everything that’s there is actually known? And then what do we do about it? If the program is really just about slowly enriching uranium, then what we should expect soon is they’ll say, look, we’ve got to go to 60 percent. We need – technically, we need a target for the Tehran research reactor. You know, they’ve said they want to put U.S. – spent U.S.-origin highly enriched uranium fuel back in the reactor in the last safeguards report. I mean, spent fuel – it’s been used up. Is this just a precedent so that they can then say, look, works a lot better with highly enriched uranium fuel. We’d better make it. And that may be their nuclear weapons program. It may not be some parallel secret centrifuge plant that they’re trying to desperately hide from inspectors. And that perspective of what it is certainly affects the negotiations or the policy goals or sculpting tools to deal with it. MR. PILLAR: And I would expect that all those considerations David just mentioned are cranked into the deliberations in Tehran about, you know, what to do next week, next month, next year on their nuclear program. MS. SLAVIN: If I could just add, the issue brief has a good summary I think of the history and looks at the fact that Iranian intentions have probably changed over time depending on its circumstances in the region, depending on its relationship with the United States. In fact, there was an intelligence assessment. I think, Paul, you were involved in that, in the winter of 2003 that was given to the White House that said if you invade Iraq, you are most likely going to spur Iran and North Korea to accelerate their efforts to get nuclear weapons. And of course we’ve seen that North Korea has already had two nuclear tests. So motivations have changed. When Khatami was president, Iran handled the nuclear issue in one way. It used it as a tool to get negotiations going with the Europeans and hoped to expand those negotiations to talks with the United States. The Bush administration rejected these Iranian overtures and so when Ahmadinejad came in, they accelerated the program. All of these things – there are so many variables, as Paul suggested, that I think there is still time given the amount of turmoil now in the region within Iran and so on, there is still time to affect Iranian decision-making. Yes, the lady back there? Q: My name is Ayel DiFrancesa (ph). I’m also from Voice of America, but a different section of it. Coming to this negotiation sort of topic, we haven’t touched that at all. There have been – apart from the American initiative, there have been initiatives from Brazil and Turkey, lately from Russia. Where do we stand at all in that area? If you could start off? MS. SLAVIN: Sure, maybe I’ll take that one. We have the Brazil, Turkey experience. The problem was that Iran agreed – by the time Iran agreed to that deal, they’d already enriched so much more uranium that it no longer would have provided the confidence that they could not quickly accumulate material to make a weapon. So it was sort of a belated acceptance. And by the time they accepted it, of course they were trying to stave off action at the United Nations Security Council on a very tough sanctions resolution. So it looked like a ploy. With regard to the Russian step-by-step plan, this is something the Russians have been talking about, that the Iranians will do x, and then y amount of sanctions will be lifted. And you can sort of develop a kind of roadmap toward more confidence that Iran is not going to build a weapon and lifting sanctions. My understanding from talking to U.S. officials is that what the Iranians have agreed to do is far little to merit the kind of sanctions relief that they are seeking. So we’re now in a situation. I believe Saeed Jalili, the chief negotiator, has finally sent a letter to Baroness Ashton saying, we’re ready to talk again. Most likely we will see some sort of talks probably centered around the U.N. General Assembly. The Iranians have promised that – they said, oh, we’ll give you full cooperation for five years if you lift sanctions. There’s a lot of game playing going on right now, a lot of maneuvering. We still don’t have a sense of whether they are edging closer to a position that would be acceptable. The standards on the Western side are going to be very, very high. People are not exactly trusting Iran these days and we are in a presidential election year. So President Obama has really very little incentive to be forward leaning on Iran right now. But it’s still useful to maintain the process. I mentioned the foreign minister of Iran is a very experienced gentleman on the nuclear issue. And the more talks the better to get a sense of where a solution could come, if not this year then perhaps down the line. I don’t know if anybody else wants to comment on that. MS. SLAVIN: We’re – yeah. MS. SLAVIN: We’re getting close to the end. I’ll tell you what. Let me – if there are urgent – any other urgent questions, we’ll take one or two and we’ll let the panelists all finish up here. Yes, this gentleman here? Q: Right. I’m Hossein Aryan from Radio Free Europe / Radio Liberty. It appears to me that the intelligence that the Western countries have is not really that much. It’s not enough and there is a lot of assumptions as well. Sanctions haven’t worked. It changed Iran. You know, it’s biting. Assassination and all other efforts haven’t really changed Iran’s behavior, and that is what the West is trying to do. So how do you break this vicious circle? What do you have? Isn’t Iran already a de facto nuclear state? MS. SLAVIN: Let’s see. Why don’t we let David start, yeah. MR. ALBRIGHT: Yeah. You don’t know if you succeeded until you do. I mean, you know, what was the – what happened in the cases where it succeeded? They admitted they had a nuclear weapons program. It wasn’t a discussion about freezing enrichment plants. That was secondary. But it came down the state just decided we’re going to admit to having a nuclear weapons program. And that’s what kind of popped the bubble and let things be settled. Even in the case of South Africa, they refused to admit they had a nuclear weapons program initially. It took them two years and I think U.S. Congress was getting ready to – I think, was it – they were going to condemn them in some very dramatic way as a violator of the nonproliferation treaty. So I think in the case of Iran, I think we probably have to start shifting kind of the what we expect from them more toward, they’ve got to kind of come clean in some way. And it may not be through the IAEA. It could be through another way. Brazil didn’t use the IAEA, for example, to come clean. But we have to kind of get a more realistic sense of what we expect from them. The other is that this apparatus that’s been constructed through sanctions to set back their program is well-developed. And I think it is having an effect. And you could almost say that it’s led to a freeze of the Iranian nuclear program, at least on the centrifuge side. It also, by me saying that, shows the limitations of a freeze because in that freeze they can also put together advanced centrifuges in sufficient number to keep making or to accelerate their production of 20 percent enriched uranium. So while it’s an accomplishment, it’s not enough. But nonetheless, it’s there, and so if Russia comes in or others come in and say, look, give up the sanctions for some concession, there’s going to be a tremendous amount of resistance among those who are trying to negotiate this to give up this apparatus that took so many years to construct. And so I think Iran is going to have to make pretty big concessions to get significant sanctions relief because these countries also know how hard it is to get the sanctions back. Iran says it’ll do the additional protocol or it’ll, you know, formally freeze its centrifuge program. It can reverse that from one day to the next. You can’t get the sanctions back from one day to the next. So there’s a – the Russian proposal fundamentally is a mismatch. You’ve got – probably better to match what Iran does with incentives. I always suggested giving them a research reactor. I mean, Ahmadinejad had a – told Lally Weymouth at The Washington Post a great idea which probably should be revisited. We rejected it at first. Just sell Iran 20 percent enriched uranium. Don’t try to get any conditions. Just sell it to them. And Ahmadinejad – or I’m sorry, shouldn’t say not give any conditions. Ahmadinejad said they would stop making 20 percent enriched uranium if the U.S. would sell it to them. Well, we won’t sell it. We can’t. But Russia could. And so I think if you match incentives for concessions, then I think you can get someplace. MS. SLAVIN: Good point. Anybody else like to – yeah, go ahead. MR. HEINONEN: I think – you know, we should also remember what is the purpose of the NPT. It’s not to detect a diversion of all nuclear material. It’s to prevent diversion of nuclear energy for nuclear weapons. This is what the language says. And I think that we are still in a position that we can perhaps be able to block the real diversion of nuclear energy in Iran for nuclear weapons. But time is running. MR. PILLAR: Some of what David said is part of the problem. Basically, the Western side has tied itself up into knots with the tangled skein of sanctions. I agree that some of the sanctions have been doing some good. But I also agree that we’ve devised the whole system in such a way that for political and other reasons we’ve reduced our own flexibility. Nonetheless, all is not lost. Barbara has articulated I think very well in her paper, and she’s reviewed some of this orally today, additional steps that could be taken. And I would suggest beyond that that beyond having the secretary of state say that someday if Iran proves itself responsible enough it can have its own enrichment program, that we really need to explore what could be done in that direction. That is to say, how an Iranian program that includes uranium enrichment could have adequate safeguards to meet our needs as well as the Iranian needs. We simply have not explored that path.